Manufacturers and distributors today must contend with a new kind of buyer––one with much higher benchmarks for convenience and speed. As a result, technology investment has shifted from back office functions to improving sales processes on the front lines, and manufacturers and distributors across all industries are looking to replace paper order forms, phone calls, and other manual sales and ordering methods with digital solutions, including B2B eCommerce, mobile commerce, and mobile order writing. Companies are now faced with important decisions on how to implement these new solutions. Some are looking to modules or add-ons within their existing Enterprise Resource Planning (ERP) systems––long perceived as “all-in-one” platforms, only to find that their ERP simply cannot meet many of these needs. 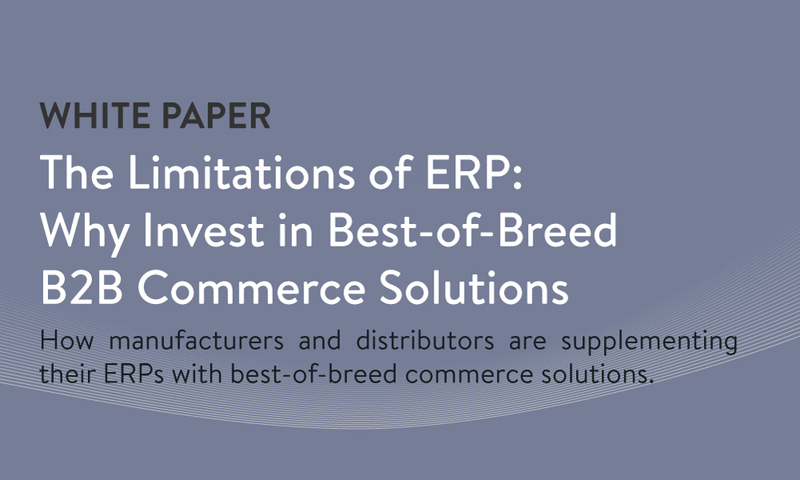 In this white paper, we’ll take a look at why many manufacturers and distributors are choosing to invest in third party “best-of-breed" software platforms that were purpose-built for customer-facing functions like order writing and eCommerce. What it takes to compete in the on-demand economy. 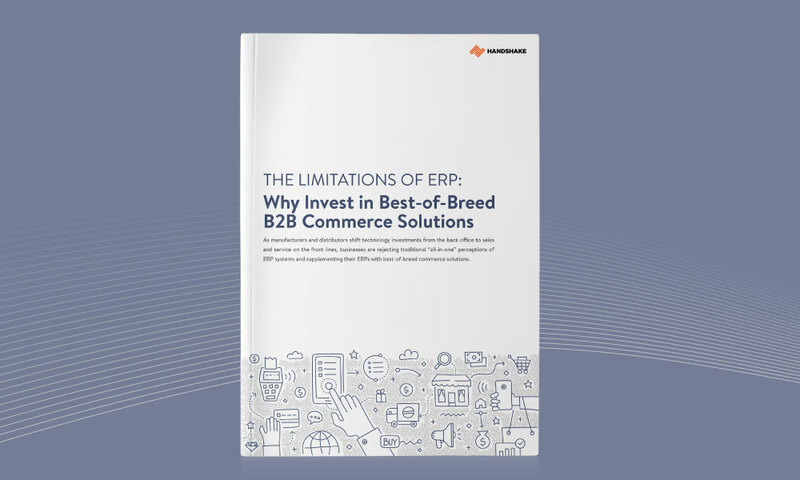 Why ERP modules and add-ons for sales and commerce fall short of business needs. Key advantages of best-of-breed solutions.